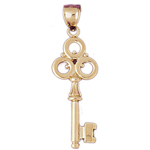 Whatever the occasion this delightful 14kt gold key charm is sure to fit right in with your favorite gold charm bracelet. 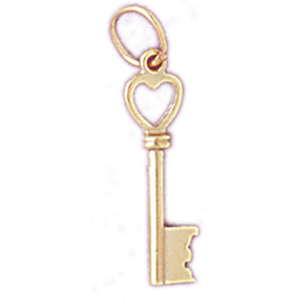 Meticulously crafted, this glistening 14 karat gold key charm resembles a skeleton key with a heart for the bow of the key. 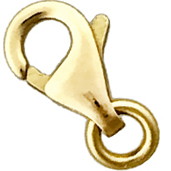 Charm is crafted out of polish finish with open back design; it measures 3/16" wide by 9/16" high and weighs approximately 0.7 gram(s). Perfect gift for any charm bracelet or necklace.